Moon's Harvest Bath and Body Shop has so many amazing bath and body treats it would be hard to tell you about them all. If you are looking for that one special gift to give mom this year Moon's Harvest has got you covered. 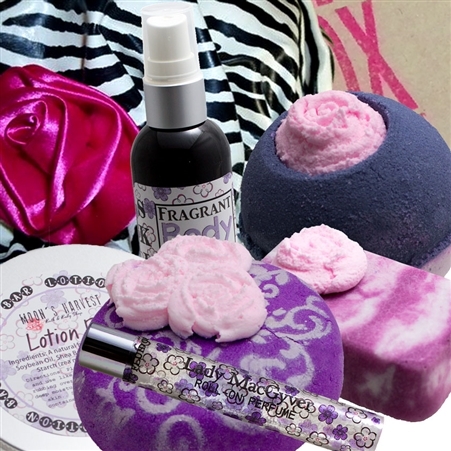 They truly are a one stop shop for all things BATH, BODY AND JUST GREAT SCENTS! They have the best bath bombs I think I have ever smelled and the size and styles of them blew me away! We were able to try their amazing Mothers Day Soak the Box and me being a mother I'll tell ya you can't go wrong by getting mom one of these this year. I mean what woman do you know that doesn't appreciate that relaxing bath at the end of the day that leave are skin so soft and smelling amazing! This box come neatly wrapped with all kinds of special treats it includes One Bath Bomb,(very large) One Bubble Bar, One Bath Melt, One Body Spray, One Roll On Perfume, One Lotion Bar and One LA Indulgence Shower Cap. Moon's Harvest Bath and Body Shop said Lady MacGyver Mom Extraordinaire! Soothing aromas of Sandalwood, Patchouli, and Musk blended with a few secret blends. From Soccer MoMs to Corporate Execs...give MoM a gift of relaxation away from the hustle and bustle of everyday life. 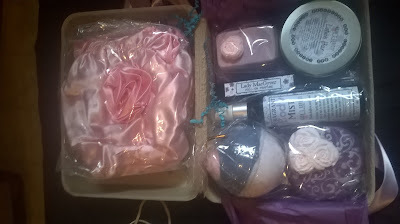 Right now Moon's Harvest Bath and Body Shop is having a deal on their Mothers Day Soak the Boxes you can order this for your mom and get free shipping. They have said all Mothers Day Soak the Box will be shipped May the eight to insure that your Mothers gets her gift on time. As most of my fans already know I am a HUGH! bath bomb fan so of course my favorite items from Moon's Harvest Bath and Body Shop were the bath bombs. They have so many great flavors and styles I loved that they used such pretty and bright colors to make their products. The bath bomb I tried was amazing. It filled the tub with an amazing smell and color. It left my skin feeling moisturized, silky, soft and smooth. The bath melt we received was also a very amazing product this cocoa butter rich treat will create skin softening water and amazing aromas as well. The Bubble Bar had to be my next favorite! It lasted so long and was great for many baths I loved the scent and the softness it left on my skin. It had a smells like a floral, per fumy kinda smell but I really loved the whole set Moon's Harvest Bath and Body Shop really out did them selfies on this soak box if you ask me. I will tell you this from experience this is truly good stuff ! 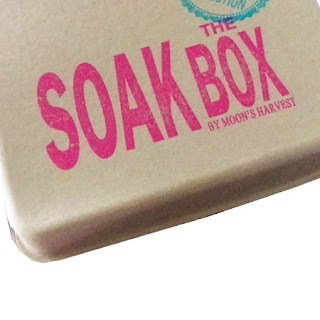 I totally recommend you grab your mom one for Mothers Day and if not the Soak the Box then something else because I think every woman should have some kind of Moon's Harvest product in their cabinets this Mothers Day. Trust me they want be disappointed when it comes to Moon's Harvest Bath and Body Products. So with that being said The kind people of Moon's Harvest Bath and Body Shop wants to give you all the chance to win their wonderful products they have agreed to giveaway the same Mothers Day Soak Box we reviewed to one of our lucky fans this is truly a amazing giveaway you all do not want to miss out on so Enter in our giveaway below! !